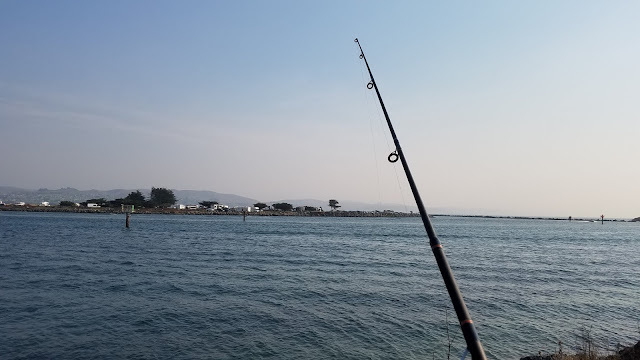 This past Veterans Day weekend my wife and I spent sometime in Bodega Bay attempting to get away from the wildfire smoke and catch some crab. November is the beginning of crabbing season and from this experienced I've learned that it can be a hit-or-miss. Crab snaring is a fun way to catch crabs. It's kind of a silly way to catch a crab, snaring it by the legs or claws with monofilament loops while it eats bait in a cage. This technique is one of the significant pros that makes crab snaring worthwhile. However other than the snare itself it's essentially bait fishing which means a lot of patience and luck. I've found that crabbing is all about timing. The tides and the amount of crab in the system all play an important role on success. 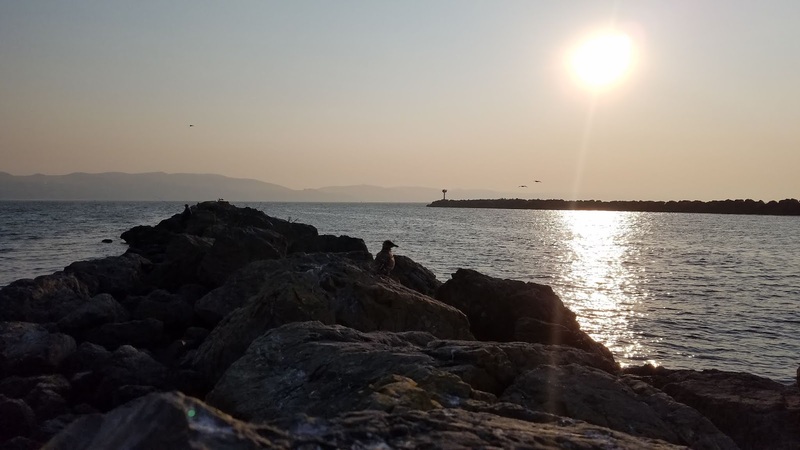 Tides with either low gain or loss are perhaps the best time to go crabbing as it gives the crabs more time to find the bait since they are not fighting the current. An incoming tide naturally gives the crabs access to more feeding zones making it the ideal tide to fish. 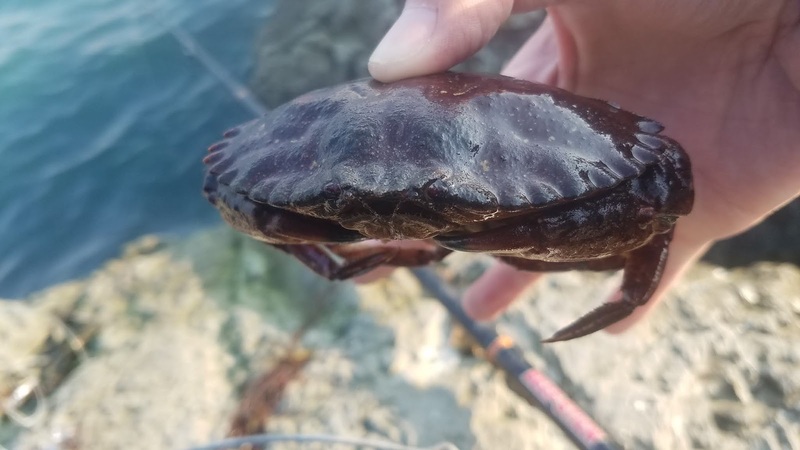 You can apply the "fish an hour or two before high tide rule" to crab snaring since you will be working off the beach or rocks where the tides absolutely critical. If crabbing on the surf you'll have to go on a day where the swell is low, I'm thinking below 5ft. You'll also have to be able to cast past the breakers preferably into a trough so that your snare stays in place. It is important to have some knowledge of the area you will be crabbing. Protected areas of the Pacific coast such as bays and piers are ideal however they are also the most fished. When everyone is catching it can be a party that all can enjoy but when it's slim pickings it's a game of being at the right spot at the right time. Dungeness crabs like sandy bottoms and rock crabs like rocky bottoms. Eel grass is good however too much of it can be bad as you can get stuck in the grass or trigger your loops unintentionally. Everyone has a secret bait but the consensus is that squid is the best bait. Other baits that can be used are fish carcasses, mackerel, chicken, and even cat food. I personally have had the most luck with squid and I try to have a second bait just in case my go-to doesn't work. I believe fresh bait is ideal. 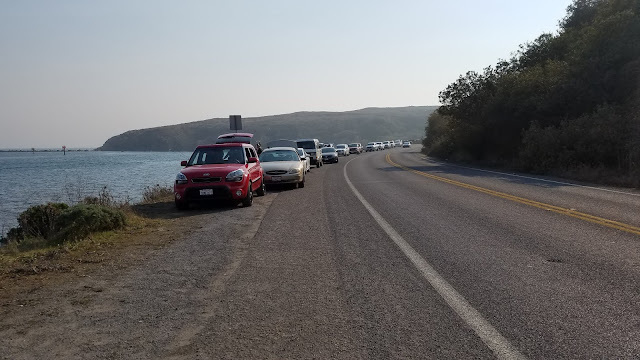 This is the first time I've been to Bodega Bay and it reminded me more of a giant lake than an ocean. The water was calm throughout our stay and the amount of people crabbing was insane. Both sides of the jetty were full of people and no one was catching anything. 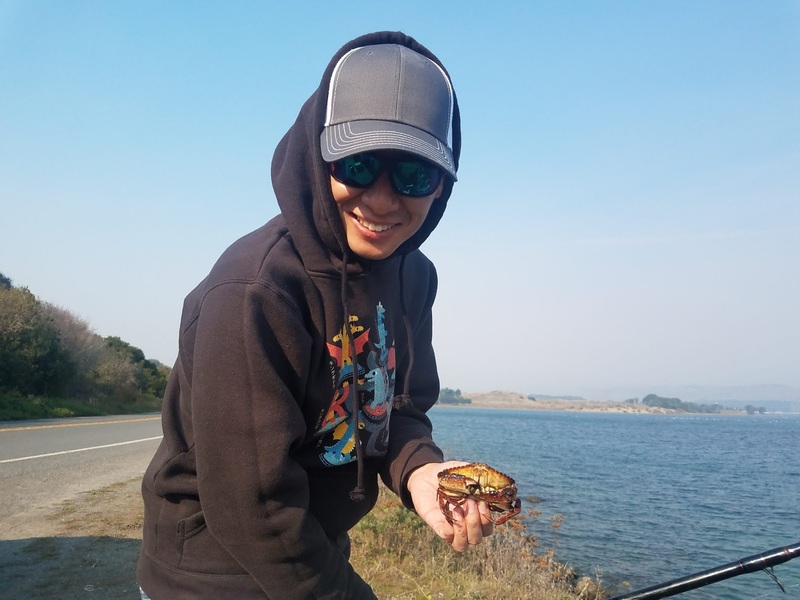 We started crabbing along the road near Campbell Cove and had some luck with two rock crabs. One was tiny and the other was a keeper that I had lost on the way back. The dungies were no where to be found. We camped at Bodega Dunes which was pretty nice. The campground had decent bathrooms with coin showers. A slight annoyance was the bitter cold and the lighthouse horn that would sound off every three seconds. The following day morning we tried the north jetty on Doran Beach. The conditions looked great with a favorable high tide with low gain. After about five hours of crabbing on the rocks I finally gave up. I was lucky enough to snag a small rock crab however I couldn't say the same to my fellow crabbers. No one was catching anything and I was starting to feel like I was wasting my time. Fishing should never feel like a waste of time.